Dr.Chandrakumar, our recently appointed cardiologist was a gold medallist in MD General Medicine from Madurai Medical College and specialized (DM) in Cardiology from King George Medical College Lucknow. 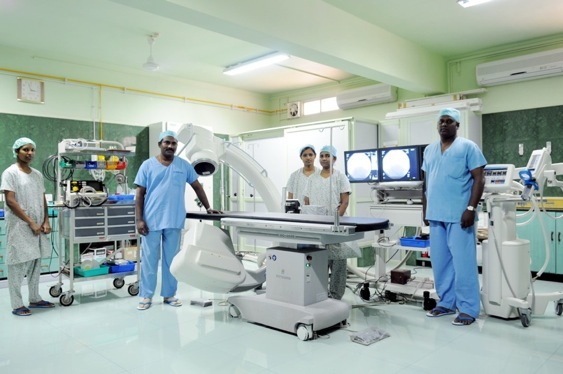 He worked in the department of Cardiology at the MMM Hospital, Chennai from 2003 to 2004 and is now a full time staff at the NDJH hoping to be a pioneer in interventional cardiology in this region. Cardiovascular disease is one of the leading causes of death in the country. Heart disease or cardiovascular diseases is the class of diseases that involve the heart or blood vessels. Coronary Artery Disease (CAD) is a condition in which plaque builds up inside the coronary arteries, in a process called Atherosclerosis. These plaque deposits can cause a narrowing of the inner lumen of the arteries, which decreases the supply of blood and oxygen. Dr.Jeyasekharan Medical Trust provides all the diagnostic tools and treatments for heart conditions including Angioplasty, Stenting, Bypass surgery and Beating heart surgery. Please consult with our Cardiologist for more information and professional advice on the risks and prevention of heart diseases. 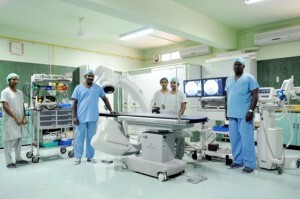 Interventional Cardiologist – Dr.J.Chandrakumar Immanuel, MD,DM.